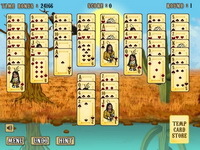 Description: Click and make pairs from the left or the right wing. You can only choose a tile with at least one free edge on the left or right. Sit back and enjoy the classic mahjong game with the cutest tiles!